I hope you’ll join me every week for Terri’s Kitchen, and let me share some of the recipes that have been perfect for special times, family moments, or simply a quite rich treat! This week’s recipe is a wonderful recipe for vegetable soup. It’s easy to make and a great winter warmer! 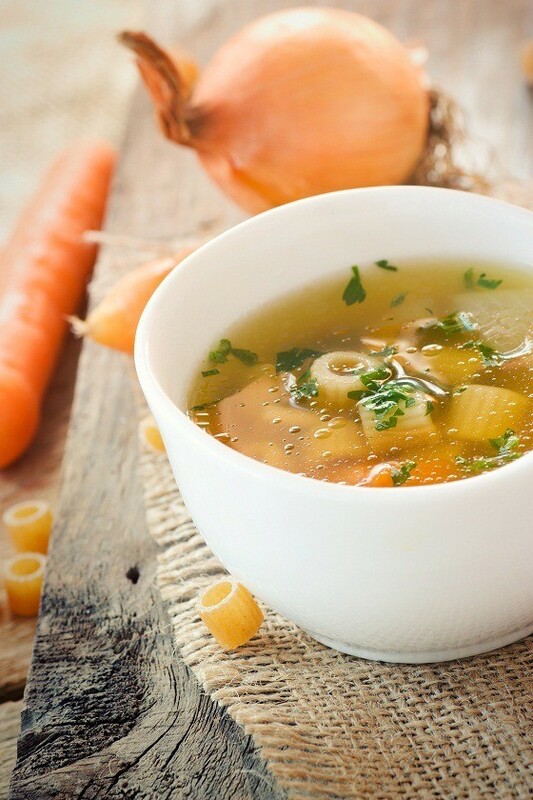 Served with crusty French bread or corn muffins, this healthy vegetable soup makes for a hearty and delicious fall dinner. It’s also quick and easy to make. Hi Terri this recipe just sounds amazing. I'm a huge fan of soup meat of vegetable. I like to personally add some chicken to all my veg soup and cook it with the bone to get the full taste out of it. That sounds like a great take on the recipe, Brian. One thing I love about cooking is it's always possible to customize to suit your own tastes! Thank you so much for stopping by, Jack! This sounds nice, I can almost taste it! One thing I will say though and you imply it in your post, the bread can really make the soup! Crispy French bread is always the best bet….. Thank you so much, Phil! I hope you enjoy it! I love soup, this recipe sounds good! I would defiantly eat it with some crusty bread!